Biopasive detached house, with prefabricated structure in workshop, 140m2 on 2 floors. With 3 bedrooms (1 suite), 2 bathrooms, toilet, double height living room with integrated kitchen and facilities room. 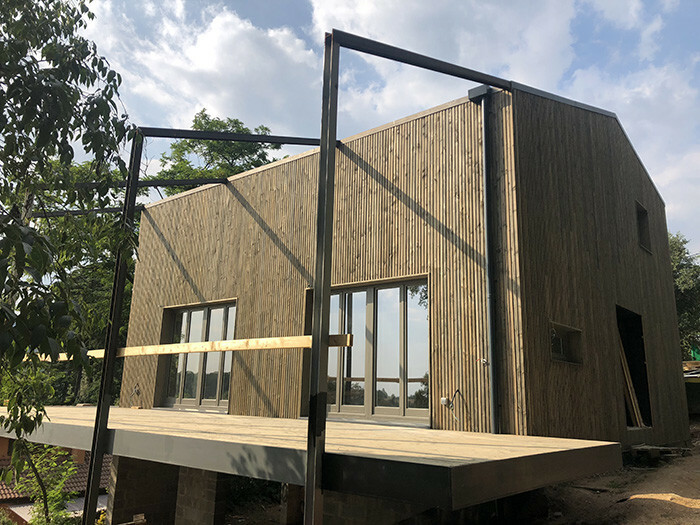 Ventilated façade with treated gray autoclave wood. Insulations with wood fiber. Air renewal system with energy recovery. Exterior carpentry laminated wood bicolor, with double low emissive glass and solar control.